Stucco is an attractive, durable, and low maintenance exterior finish. It will outlast wood, vinyl, and brick siding, and it is great for all different climates. It can be applied using metal lath or directly over brick and concrete. Stucco can be finished with virtually any color and does not require painting. Many different texture options are also available. It provides excellent insulation for heating and air conditioning, and blocks wind efficiently. Many insurance companies will lower their premiums due to stucco’s fire resistance, durability, and mold resistance. 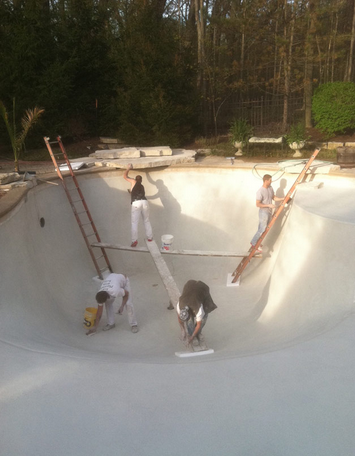 Kelly Plastering installs patches and repairs stucco, and they also patch and resurface hot tubs and pools.